The case of an employer, abusing her power to make one of her employees delete all his colleagues from WeChat, became a hot topic on Chinese social media earlier this week. As the news hit over 350 million views, few netizens worried about the employees’ deprivation of privacy and more discuss the advantages of being forced to clean up your WeChat contacts. On November 18, the hashtag “Prior to Resignation, Employee Is Required to Delete Colleagues from WeChat” (#辞职先删同事微信#) went viral on Chinese social media, racking over 350 millions views. 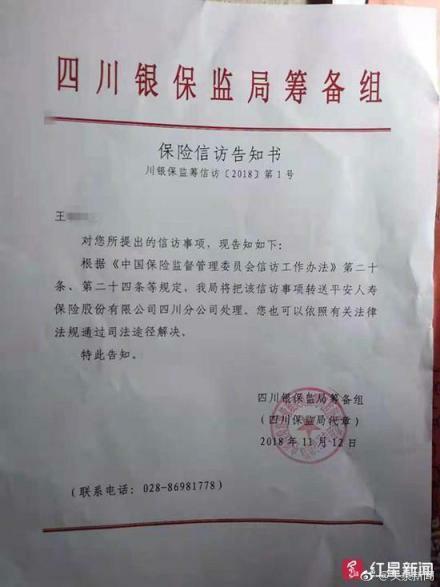 On July 26, a Ping’an Life Insurance Company (平安人寿保险公司) employee, surname Wang, handed in his letter of resignation. To complete the resignation process, his employer, surname Kou, demanded he delete all the contacts of Ping’an co-workers from his WeChat. Wang complied and moved without a fuss, but not for long. Unable to ignore his unease at the way he had been treated, Wang inquired the HR department of Ping’an on the resignation procedure, only to find that deletion of one’s co-workers’ WeChat contacts is in no way obligatory. Feeling aggrieved at having had his privacy infringed upon, Wang repeatedly tried to get an apology from his former employer, even turning in a letter of complaint to the Sichuan Bank and Insurance Regulation Bureau (四川银保监局). However, the apology never arrived –that is, until the matter caught the attention of Chinese netizens. Red Star News (红星新闻) was the first media outlet to obtain a statement from Kou on the incident. Though she did not deny asking Wang to delete his contacts, she denied having forced him to do so: “He is 1.80 meters tall, and I am only a little taller than 1.50 meter. If he hadn’t agreed to cooperate, I would never have been able to force him,” observed Kou. She went on to explain that the decision was for the benefit of the company. With competing insurance companies constantly snapping up each other’s employees, Kou believed Wang’s possible defection to one of Ping’an’s rivals would have a demoralizing effect on her team. Fortunately for Kou, many netizens construed the incident as a disguised cure for a perpetual problem all WeChat users face – WeChat “friends” that are anything but friends. “If your relationship with a colleague is good, add him back. If the relationship is not good, then don’t. It will only clean up your phone,” one netizen commented. 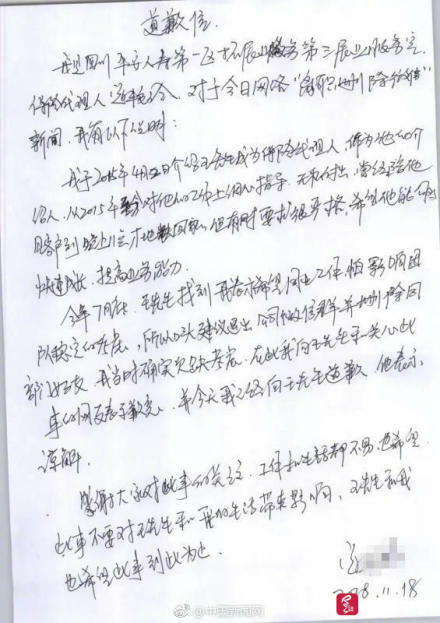 On November 19, the day after the news went viral, Ping’an issued a letter of clarification saying they regretted the situation was handled, followed a hand-written letter of apology from Kou, who acknowledged her lack of consideration. This was enough to satisfy Wang it seems, as both letters mention that all parties had now settled the issue. By Gabi Verberg, edited by Eduardo Baptista.